Sereniti Zarial Coates, 8, of 106 Barkwood Drive, Apt. 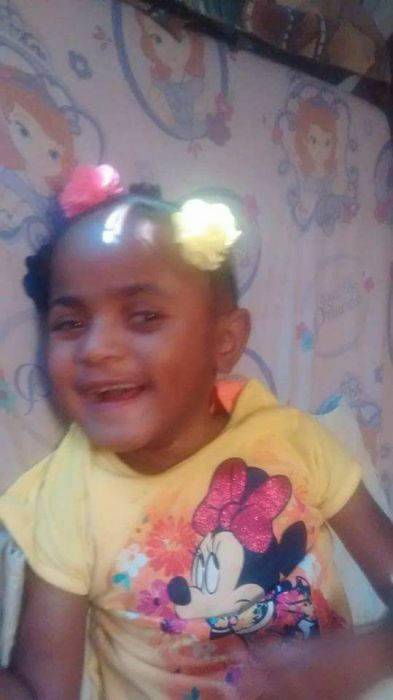 109-B, daughter of Isaiah Griffin and Alexis Coates, became one of God’s Angel on Monday, October 16, 2017 at Georgia Regents Medical Center in Augusta, GA. She was reared in the home of her grandmother, Cassandra (Wilbert Morton, Jr.) Oliver. She leaves to cherish her memories, her mother and father; four brothers, Keylan Wideman of Ninety-Six, Isaiah Little of Greenville, Jamerion Moore and Kingston Griffin both of the home; two sisters, Izeriah Griffin and A’Miracle Moore, both of the home; paternal grandparents, Diane and Bernard Barr and other relatives and friends to mourn her passing.